When your car or pickup doesn’t have the space to carry everything you need it to, the only option is to buy a trailer. They’re versatile, giving you the option to tow everything from bicycles to cattle. You can even sleep in them if you have a travel trailer. But new owners might not be aware of everything they need to know to safely travel with their trailer. Don’t worry, though. Here’s a rundown of the 5 most important tips to help you get to grips with safely towing a trailer. If you’ve never towed anything before, you might not realize that your car has a maximum towing capacity. There are two numbers you need to consider if you’re learning to drive with a trailer. The first is the Gross Trailer Weight, or GTW, which gives you the maximum weight your trailer can be. The second is the Gross Combination Weight Rating, or GCWR, which is the maximum weight that both your car and your trailer can be. Exceeding either of these could be dangerous, and would be illegal should you drive past the maximum capacity. Make sure you factor in the weight of your carried load, too. You also need to be sure you’re following your state’s regulations for maximum trailer size. You can find the maximum trailer dimensions for your state here. Making sure you’re legally able to tow with your vehicle is only one of the considerations you should make before you purchase a trailer. Learn more about the other trailer considerations you need to make before you buy. Another consideration to think about if you’re towing a trailer for the first time is the hitch itself. Your car needs to be able to tow your trailer correctly, so the hitch (and the hitch ball on the vehicle) both need to be sufficient for the weight and size of your trailer. Your Gross Trailer Weight is also likely to be a factor here. Check around your hitch ball for any stamps or engravings that identify the maximum GTW that it can withstand, or check the relevant service manual. You also need to make sure the ball is the right size for your hitch. They do vary in size, and you need to ensure that the hitch will be secure while you’re driving. You don’t want it to detach on the road! Try attaching and detaching your trailer a few times before you drive too far to make sure you’re confident that it’s secure. When towing a trailer you should remember to do a final check of everything before you depart. There are a lot of things that could go wrong that can be avoided by testing everything before you leave. The main three we believe you should be aware if you’re learning how to drive with a trailer are your lights, your load, and your tire pressure. It’s simple to do, but as we’ve already mentioned, your vehicle’s weight is important to remember, so don’t overload your trailer. Less is better – give yourself some breathing room. Test your lights before you head out, too. You’ll need a spare person for this – have them check your tail light, brake light and turn signals to make sure they’re working on your trailer. If they’re not, you might need to double check your connections. Finally, your tires can come under pressure if they’re under more weight than usual. Make sure they’re fully pumped up and check that the tire tread isn’t worn down. Don’t forget to do a maintenance check on your vehicle before you depart, too. Take a look at some of our other automobile maintenance guides for more information on DIY repairs you can attempt yourself. As with all things, a little bit of prior preparation can you help you avoid calamity at a later date. That’s why we recommend you bring a few essentials with you on your trailer trip. Start with having an emergency repair kit. You might need to change a tire on the way, so a spare and a jack will help you make roadside changes quickly. Pack a few other essentials, like bottles of water and duct tape for quick repair jobs, as well as top ups for your oil supply. 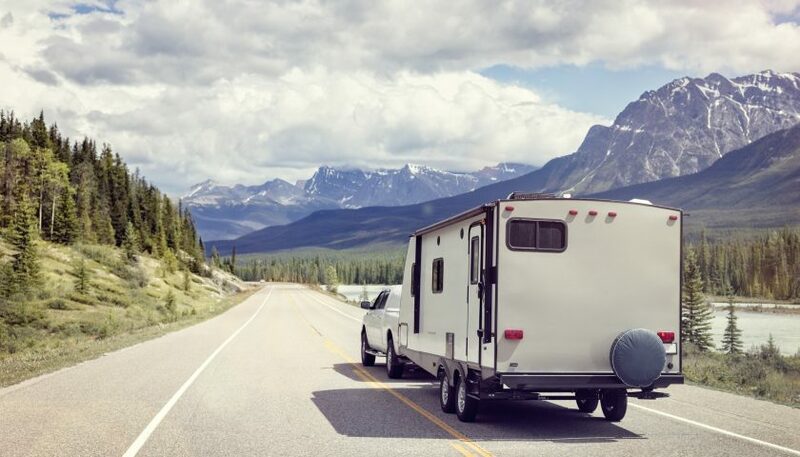 Depending on your state, you might also need to factor a few other additions for your trailer setup, like a breakaway kit to stop your trailer if it detaches on the road. Check with your local DMV to be sure you’ve got everything you need. Going on a road trip? Check out these top 10 car camping accessories you should be looking to take with you. If you’re confident your trailer is ready to be driven, then the only step left to take is to actually drive it. Before you do, however, there’s a few tips you should remember. First, you should remember that as you drive, you stick back even further with your trailer attached. You need to alter your driving technique to take into account the space you need to park, go around corners, and deal with other traffic. You’re also going to need to remember that you won’t be able to speed up or slow down as quickly as you would without your trailer. Give yourself a few extra seconds whenever you need to accelerate or decelerate so you don’t overshoot, for example when you’re merging lanes or stopping. If you’ve been driving for a while, don’t be afraid to take a few stops to double check everything on your trailer is still working. A few bumps on the road can cause a loose wire and cause your lights to stop working. You can check out some other trailer driving tips here. Towing a trailer can give you much more space and freedom to move around that you might not get with your vehicle on its own. They’re great for traveling and transportation, and with a bit of practice, you can become a pro at driving a trailer in any conditions. Just don’t forget to do your checks before you leave. Lights, tires, and weight are all essential. If you’re overloaded or your lights and tires need repair, you’re going to attract the unwelcome attention of law enforcement. Part of preparing for all eventualities is knowing what to do when something goes wrong. 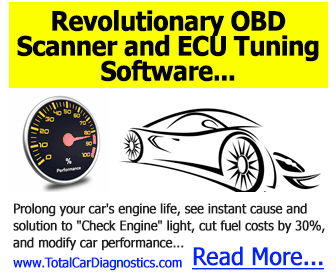 Find the auto service manual for your vehicle to help you get started.